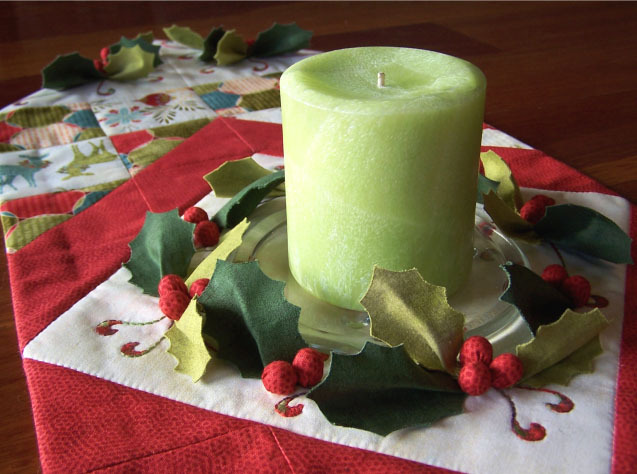 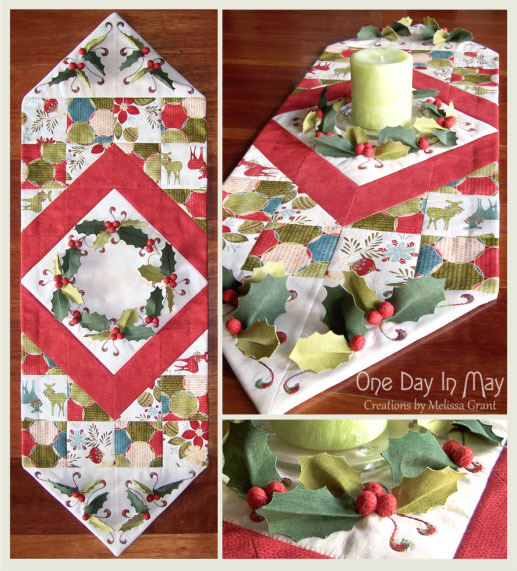 A lovely, bright centre piece for your Christmas table, this project combines variegated embroidery, patchwork, 3-dimensional holly with fabric-covered beads and a “facing-finish binding”. 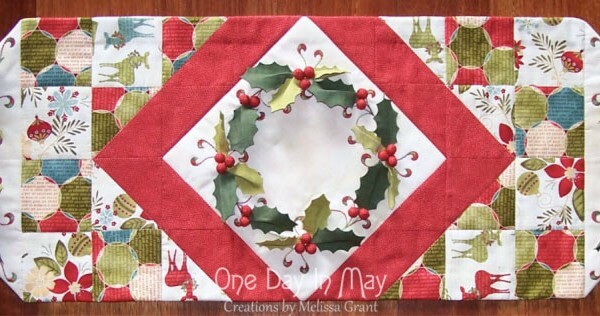 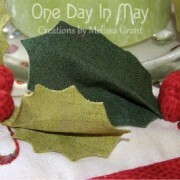 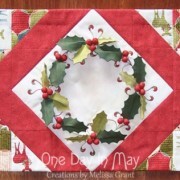 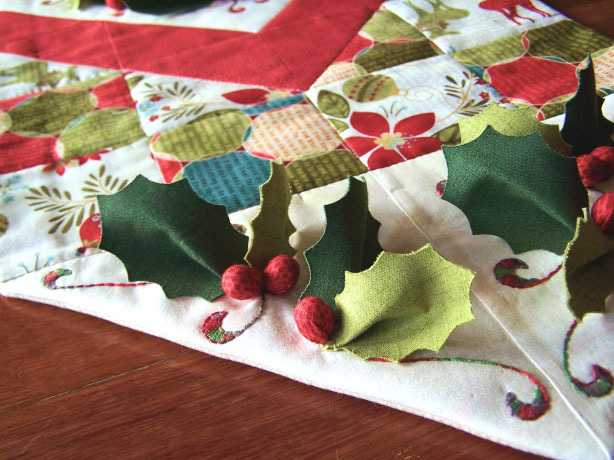 This festive project is filled with technique variation. 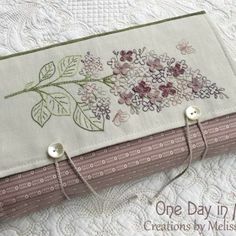 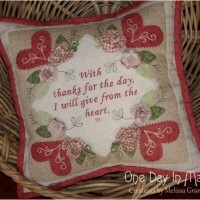 The pattern is well detailed with instructive diagrams, illustrative photos and thorough instruction. 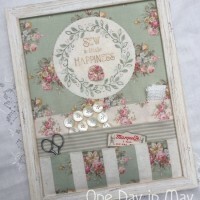 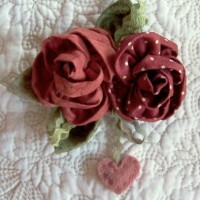 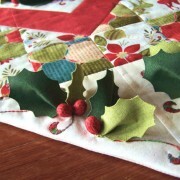 As an alternative, the central panel could also be used to make a smaller piece for your table top. 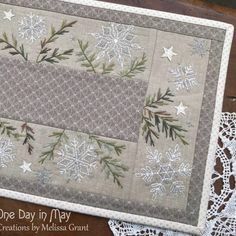 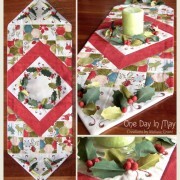 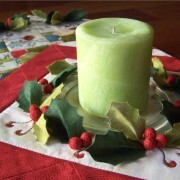 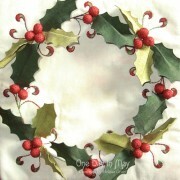 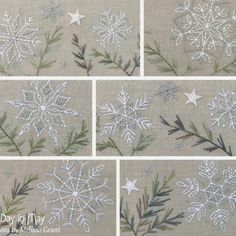 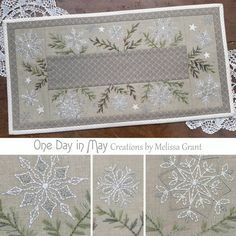 This unique table runner, sized at 12” x 36” (30.5 x 91.4cm), is embellished with delightful sprigs of dimensional holly. The central wreath is designed to surround a small dish or bowl, just the right size to hold a large candle or selection of Christmas treats.